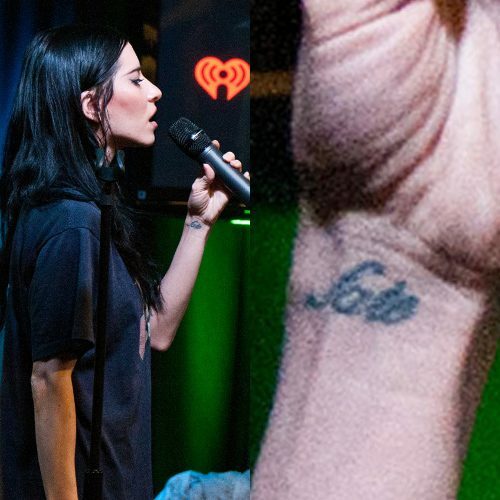 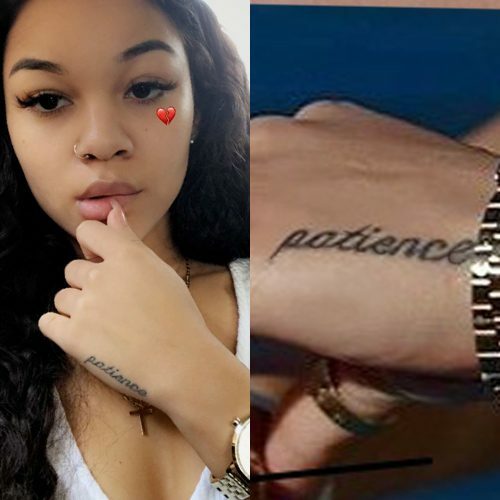 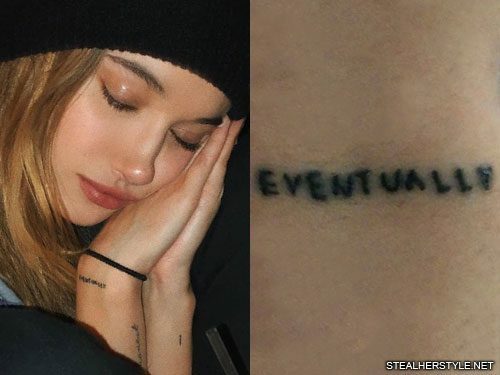 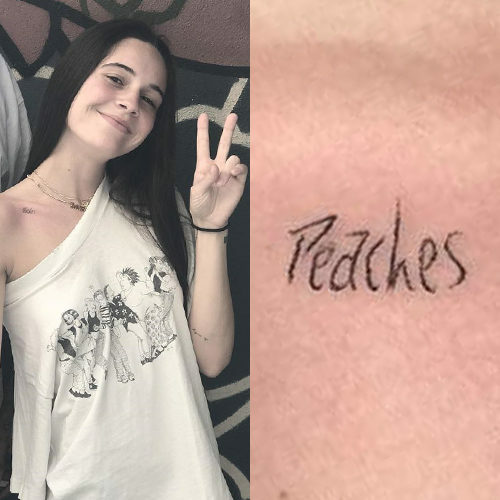 Bea Miller got a tattoo on her right hand with the message “keep your head up high”. 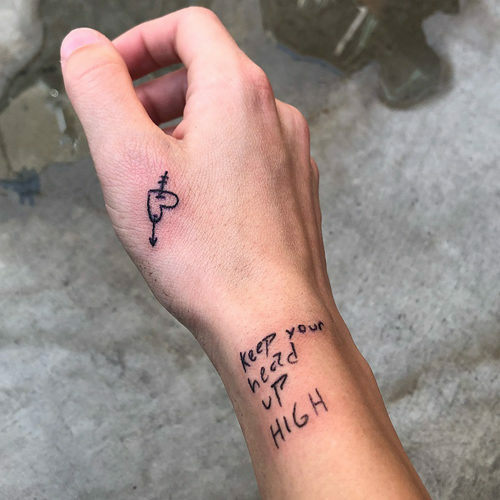 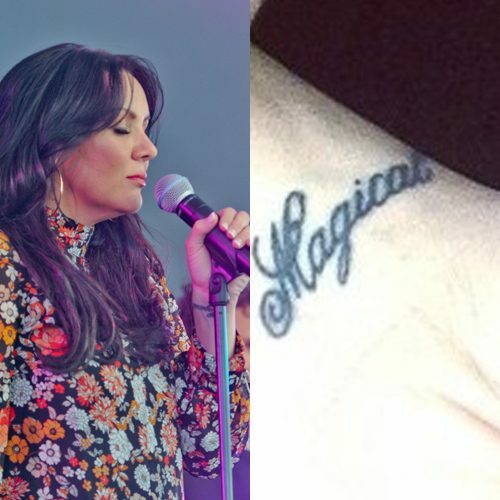 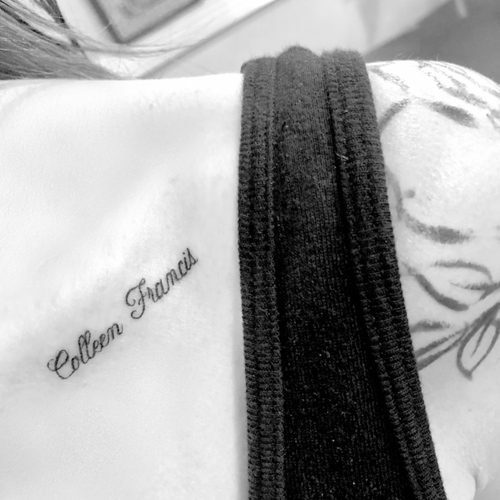 The new ink is inspired from a handwriting piece done by her younger twin siblings Elliot and Georgia, the original message being: “be proud of yourself, and keep your head up high”. 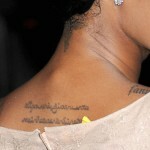 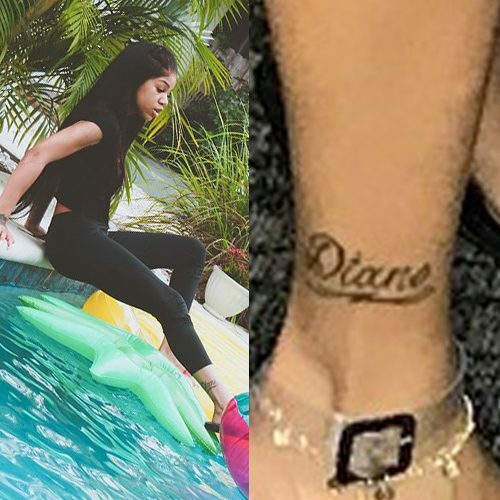 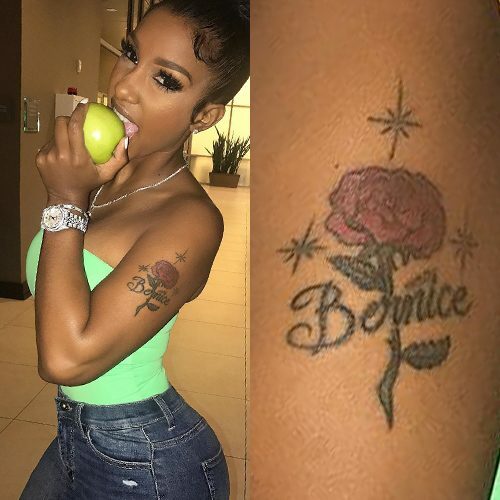 Bernice Burgos has a rose and her name “Bernice” tattooed on her left upper arm.